Join us for original Blues for and about Australia. 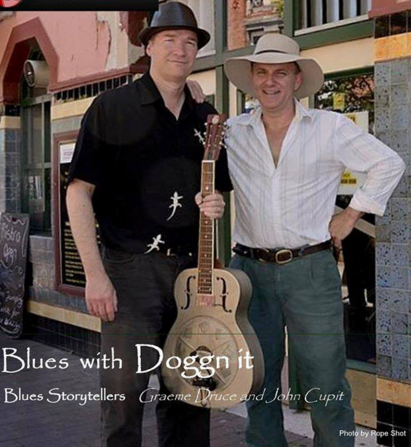 Doggn it Blues is Graeme Druce (vocals, guitar) and John Cupit (vocals, harp). Doggn It Blues won the SBS Blues contest Sydney in 2012 and reached the semi-finals at the International Blues Competition in Memphis in 2013.